Just after I signed on the dotted line to begin working with my website designer/strategist Michaela of Beachside Studio, I received an interesting email and link in my inbox. “I made you a video,” Michaela wrote. I clicked the link, curious as to why she’d be sending me a video. I was greeted with a 10-minute video from Michaela expressing her excitement at beginning our work together, reviewing the calendar she’d set up to keep us organized and running through the project timeline. In the video, Michaela shared her screen, walking me through her project management tool Asana and our shared redesign calendar. After viewing the video, I was BLOWN. AWAY. It was so simple, yet at the same time incredibly effective. The video was such a warm, friendly and personable way to kick off what would typically be a pretty straightforward project. 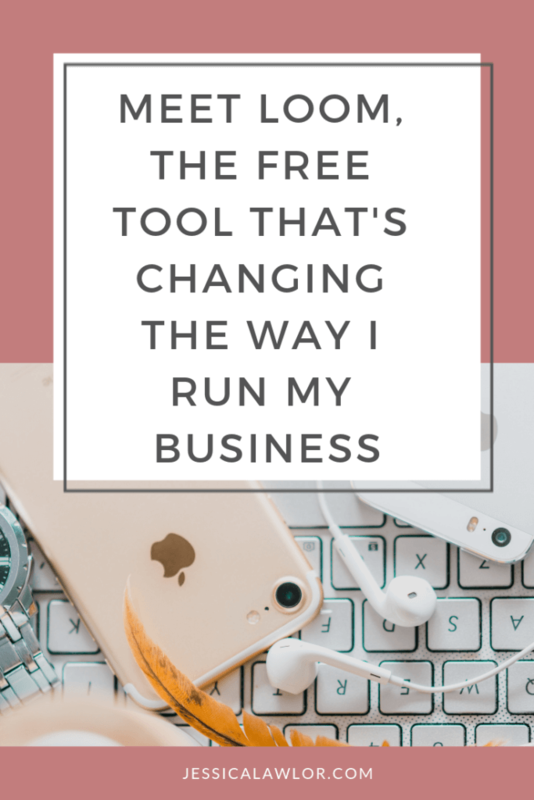 Immediately, I wanted to know more about the tool she used to create the video, and I started brainstorming ways I could utilize quick videos for my own business. I discovered Michaela was using a FREE (yes, free!) tool called Loom. Have you ever sent a really long email or a document with lots of to-dos and action items? Me! Almost every day! According to Loom, for every 10 seconds of video you record, it is equivalent to 81 seconds of typing. Therefore, Loom allows you to save a ton of time normally spent typing, and instead use voice and video to get your message across quickly and efficiently. Here’s the other great part about Loom: Email can sometimes come across as cold or at the very least, sterile, right? When you use Loom, you use your voice, so you’re able to more effectively project warmth and showcase personality. *Note: Loom is free, but it looks like they’ll be offering a paid version — LoomPro — later in 2019. Since I learned about Loom a few months ago, I’ve had a blast figuring out new and useful ways I can implement Loom into what we do at JL&Co. Here are four of my favorite ways to use Loom. Typically when I send a prospective client a proposal to work together, I deliver the proposal as a PDF via email. Now, I’ve added a new step to the process, creating a quick Loom video walking through the proposal to share more context. I’ll open up the proposal, click record, greet the potential client, tell them how excited I am to potentially work together and walk through the proposal as if we were sitting in a meeting together. Because my proposals are typically pretty cut and dry — scope of work is outlined in neat, bullet points, creating a video gives me the chance to add color commentary and explain more than I could in a document. The videos are short — typically 3-6 minutes — but they’re effective. 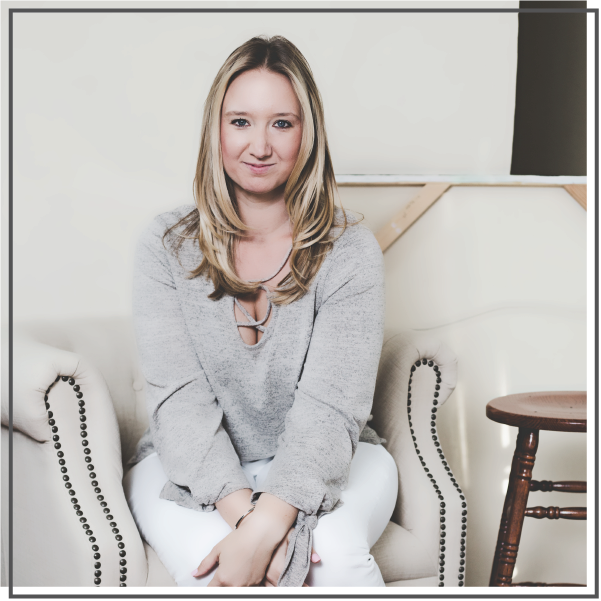 I find that letting prospective clients hear my voice while explaining our credentials and outlining services and pricing showcases more personality and creates a more warm and inviting experience. That prospect? Now a client. As I got started on a complex email sequencing project for one of my content management clients, I struggled with how to explain to my client via a single email my thoughts and recommendations. After using Loom successfully to deliver a proposal, I thought, why not use it with a current client? I fired up Loom and sent off a quick video, easily switching between the tabs I had open to show my client our current sequence in Mailchimp and a document I had created to explain what I wanted to do. Creating a video took what could have been a confusing back and forth over email and turned it into a very simply, easy-to-understand conversation leading to a clear outcome. Plus, my client was impressed with the tool, too! Since my team is remote, we don’t always have the luxury of meeting in person or jumping on the phone anytime we need to discuss a project. So now I’m using Loom to communicate with Team JL&Co. Instead of sending a long drawn out email with tasks, assignments and to-dos, I’m creating quick videos to share updates on client projects, assign projects and detail out next steps. The videos are quick — I aim to keep them under eight or so minutes. After all, I don’t want to create more work for my team members or inconvenience, recognizing that reading text is quicker than watching a video. Since we’ve started using Loom, I’ve found myself staying more on top of keeping my team in-the-know,. As JL&Co continues to grow, it’s only going to become more challenging to train and ensure team members understand processes. So we’re using Loom to build a library of videos of how to complete important tasks for our clients and the JL&Co brand. Think: how to schedule social media for Client A, how to lay out Client B’s newsletter, how to create a case study for Client C.
We have a Google document titled “JL&Co Loom Library” and as we complete tasks we do time and time again, we’re turning on Loom to walk/talk through the process. This way, when we eventually grow and bring on more team members, we’ll save time onboarding knowing that we’ve already created valuable training resources that a new team member can watch on their own. Or, if the task needs to be re-delegated to someone else, we all have access to the same materials. How could you utilize Loom in your business or job? I’d love to hear your ideas in the comments below!